Maho is the designer and founder of Gentle Earth, a recently launched company based in Zürich. 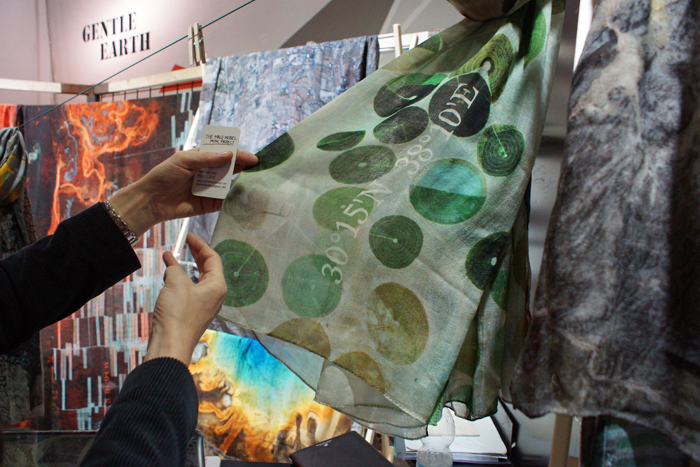 They produce cashmere and lamb's wool scarves featuring prints with satellite photographs from various spots in the world, also presenting in their designs the latitude and longitude coordinates of the planetary area depicted. Impressive aerial view of both natural and man made locations! 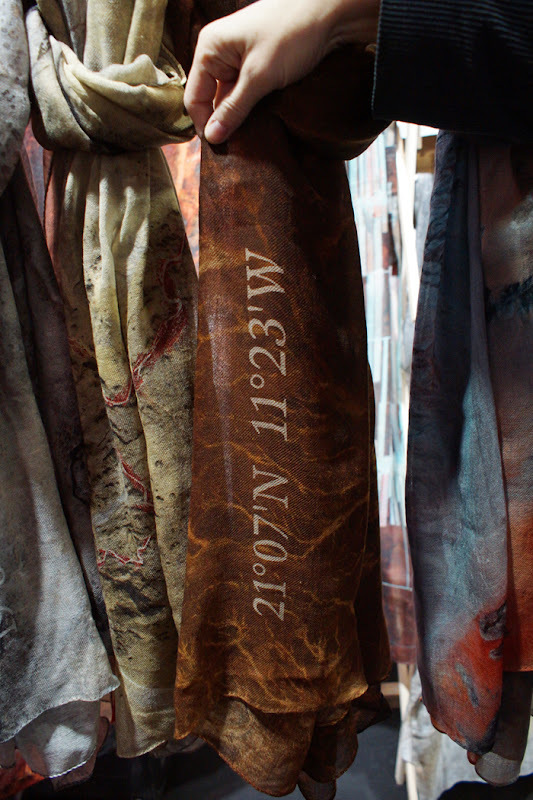 Maho talked about her particular interest in her new project and mentioned that it is actually possible to locate the coordinates shown in the scarves using Google Earth. 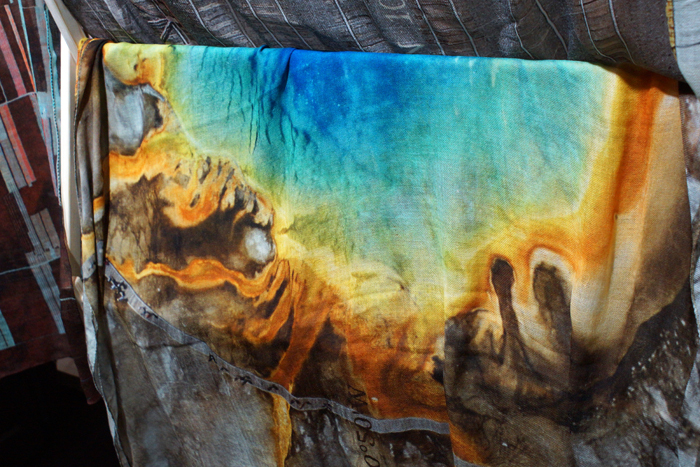 For example, you can find scarves with latitudes from Las Vegas, Bolivia, Namibia, Lethbridge,Canada,Yellowstone National Park in Wyoming(above in pic) and a bunch more!